Originally Submitted to FurAffinity.net on Jan 30th, 2009 06:19 AM. Before it was transferred to Inkbunny it had 377 views and 22 favorites. 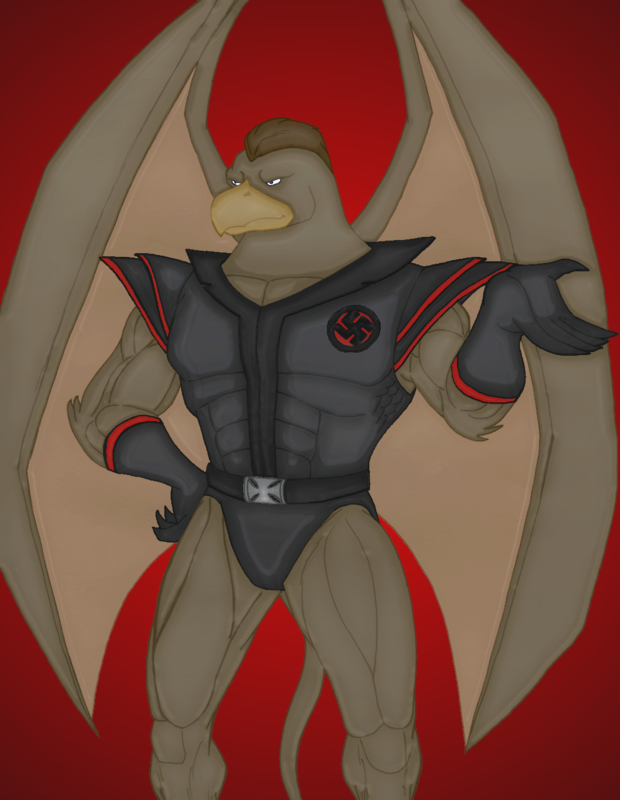 My initial coloring of Evil Nazi Clone Griff with standard coloring I usually do. I thought it too plain and decided to try my hand at some other method of coloring but nevertheless found this to be a smashing work of art considering how lousy I usually am shading and highlighting digitally.